So you are an Advanced Diploma in Music Production & Sound Engineering graduate from Abbey Road Institute, ready to take on the world. And then what….? In this new series of blog articles, we will follow Abbey Road Institute Amsterdam (ARIA) graduates in their careers and endeavours, after successfully completing their study. Inspiring interviews with vibrant people who follow their passions and trying to make their dreams come true. Whatever success means to you, we all know that the road to it isn’t always an easy path. But if you truly believe in yourself and the things you want to achieve, you will make it happen. Let these articles inspire you. In this first edition, we interviewed Sébastien Thirion from Belgium. Being one of our first graduates, he started the program in 2016 with a successful completion in 2017 followed by the Abbey Road Institute Global Graduation Ceremony for all graduating students from our schools in Amsterdam, Berlin, Frankfurt, London, Melbourne and Paris at the legendary Abbey Road Studios in London. Right after graduating from Abbey Road Institute Amsterdam I started my 3 months internship at Galaxy Studios based in Mol, Belgium. 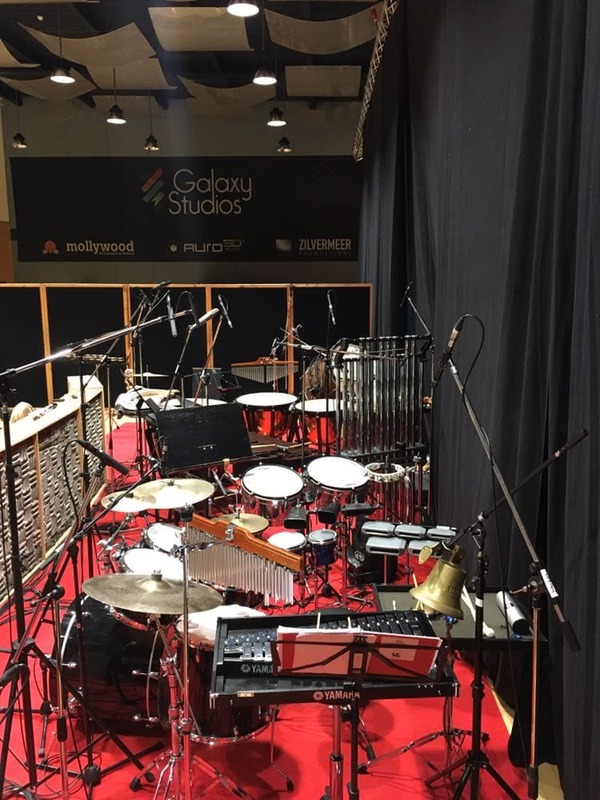 As an intern at Galaxy Studios I had the opportunity to do many different things, from building setups for scoring sessions together with the assistants (and of course breaking down afterwards) to preparing the Pro Tools sessions for the senior audio engineer in the studio, Mr. Patrick Lemmens. 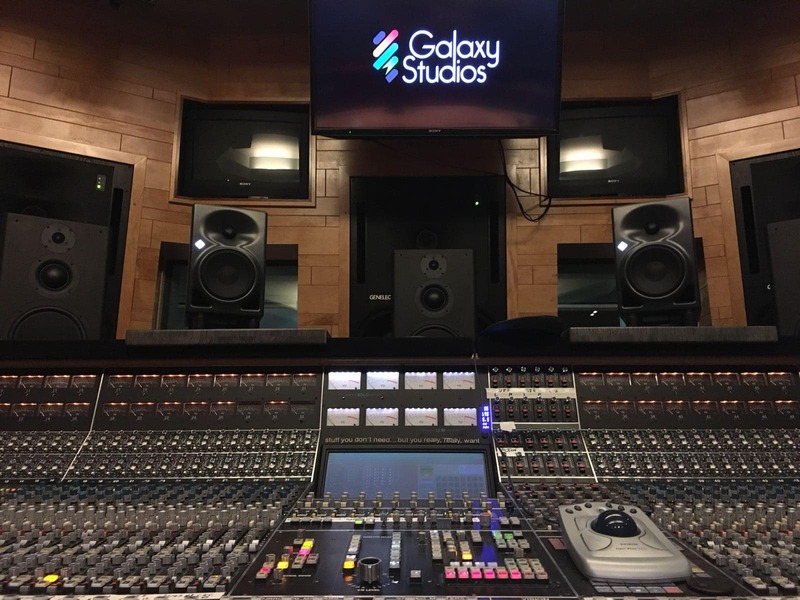 The internship at Galaxy Studios included all kind of different tasks and responsibilities in between, like being the copyist for sessions (a highly underestimated job), act as the second assistant during sessions, assist with maintenance on the studio consoles (API VISION, Neve 88D,…), preparing demo’s for clients in the Aurotorium (Galaxy’s 3D dubbing stage) and the different studios and opening and closing up the studios. In general, I had to be a helpful person to everybody. How did you get this internship? Actually, I got the opportunity for this internship by networking with the technical manager of Galaxy Studios during the opening party of ARIA. After that particular event, the staff from ARIA helped to turn this opportunity into reality for me, for which I’m very very thankful. What is the most important thing you’ve learned during this internship period? Everything has to be checked and double-checked BEFORE each session! When the production team and musicians arrive, everything has to go as smooth as possible. Basically this means that everything has to be perfect. 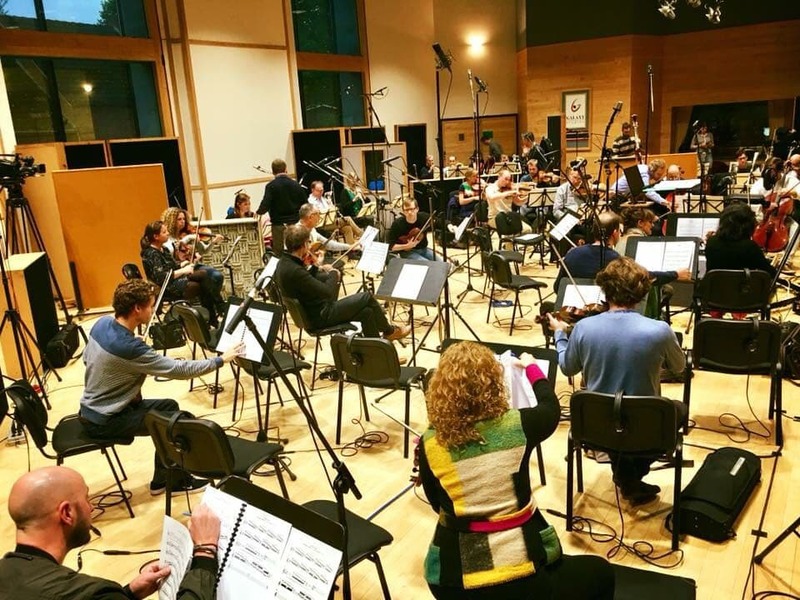 It’s very important that the general atmosphere in the studio is comfortable and relaxed, so you can give your full attention to the musicians and the whole production. In order to achieve this, every single person in the crew has to be aware of every single detail. I have learned that preparation is everything. There’s no excuse, losing time during a scoring session is unacceptable. What was your biggest challenge during the internship? Which skills and/or knowledge are most important? Being a real Pro Tools Jedi master! Beside that, you need to have a good basic technical knowledge and be able to follow and read scores. But most importantly, being a people’s person! As an Abbey Road Institute graduate, I’ve learned that the music or a song doesn’t only has to sound good, but more importantly it has to feel good. Everything in life is about emotions, so make it feel right! As a recording- and mixing engineer/producer, I’m not only adding value because of my skills and the gear, I’m also an added value because of my taste. Based on your experience, what advice would you give to existing students? Work hard during your study at ARIA and in your job afterwards. If you want to make it in this industry you have to be hungry and eager to learn as much as possible. And most important: enjoy every single moment at ARIA because it’s over before you know it. Great advice Sébastien! And what are your next plans/steps? I just got offered a paid position as an assistant at Galaxy Studios, whilst I’ll also be working as a Belgium based freelance Recording and Mixing Engineer. Thanks a lot Sébastien! Wishing you all the best in your future endeavours. The GALAXY STUDIOS GROUP is a cluster of companies dedicated to the fine arts of film, music and sound technology. 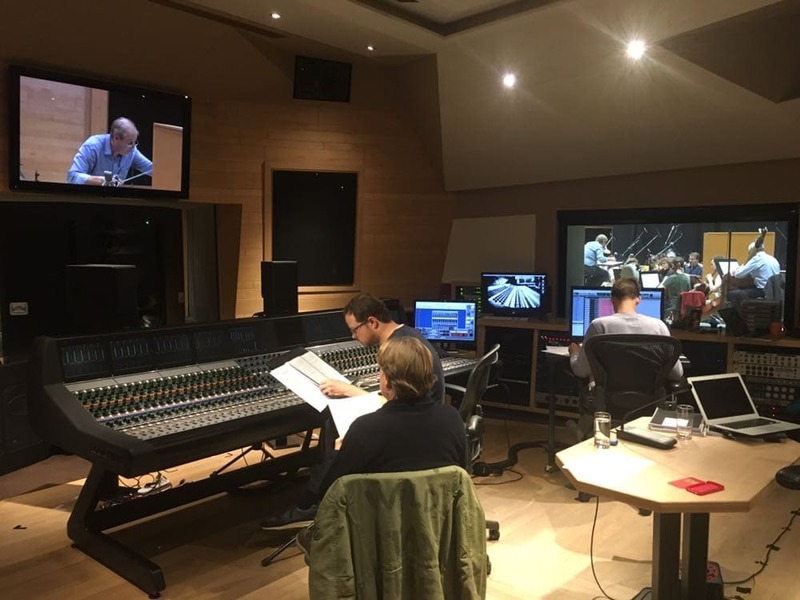 They are situated in Belgium and for more than twenty-five years their studio complex has been a world-class beacon of advanced technology for sound recording. Seven years ago they expanded the services to include a wide range of film and TV post-production services in sound, picture and music. The studios originated the ultimate immersive sound format Auro-3D. It is the home base for Auro Technologies its driving force software development company.